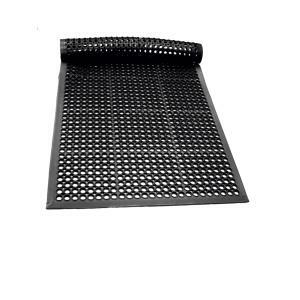 Unbacked open hole construction mat for wet/greasy areas. Available in black or grease-resistant terracotta red. Raised surface edges provide safe footing and slipresistance. Safety bevel for smooth traffic and easy cart access.